Music Director Michael Tilson Thomas led the San Francisco Symphony in a great, very great performance of the Violin Concerto in D minor, Opus 47, by Jean Sibelius, and Symphony No. 3 in E flat major, Opus 97, Rhenish, by Robert Schumann, November 13-15, at Davies Hall. If by any chance you missed hearing one of these concerts, you have a chance for more Sibelius tonight, Nov. 18, when pianist Leif Ove Andsnes performs works of Sibelius, Beethoven, Debussy, and Chopin. And, another chance for a grand Schumann symphony, Nov. 19-21, when MTT and the SFS perform Schumann’s symphony, No. 1, Spring. 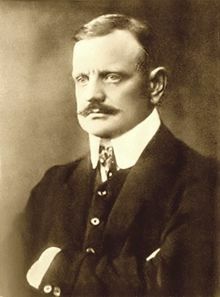 This is the 150th anniversary of Jean Sibelius’s birth, Dec. 8, 1865. Thanks to the milestone quality of that event, the SFS and others are performing more of his extraordinary music. One may hear Finlandia on the radio from time to time, and its stirring beauty is ample reason for Finland to celebrate Sibelius as a national hero, but he did write more. This program opened with his tone poem, The Swan of Tuonela, Opus, 22, no. 2. Written in 1896, it is one of a group of works based on Finnish legends, Four Legends from the Kalevala. Its beauty is misty, ethereal, and even a bit eerie. Tuonela was the “land of death” in Finnish myths. The Swan of Tuonela floats on a large river which circles Tuonela and sings. The images of the tale evaporate into the music or the music calls the mythic characters into being. From which ever direction one experiences it, The Swan of Tuonela, as performed by the SFS is beautiful and chilling. Leonidas Kavakos performed the Violin Concerto (1904) with stunning virtuosity. This is not stunning in the sense of “looking good.” This was stunning in the sense of shivers up the back bone and eye popping brilliance. Mr. Kavakos made the first recording of the original version of this Violin Concerto, in 1991. That version is said to be even more demanding than the one more often performed. The winner of major international violin competitions, he is far more than a majestic technician; he is a magical musician. The concerto moves from very delicate, dream-like music into deeply passionate music with the full orchestra. As a moody, pessimistic sound takes over, the solo violin emerges to play an astonishing cadenza. Sibelius uses the voices of the orchestra and of the soloist in opposition and also brilliant unity. As a composer, Sibelius can only be described as Sibelius-esque. The music finds enchanting melody and also heart pounding syncopated rhythms. This SFS performance with Leonidas Kavakos took one’s breath away. 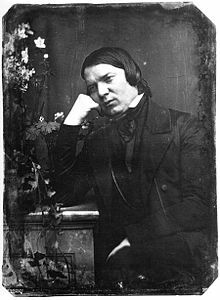 Robert Schumann (1810-1856) was a pianist, conductor, music critic, journalist in addition to being a great composer. We are all lucky that MTT and the SFS are launching a project to record Schumann’s four symphonies. The performance, Nov. 15, was the first of the performance recordings. It was glorious. Maestro Tilson Thomas captured the energy and motion of the music. One could almost feel the rolling power of the water in the waves of sound. The SFS played as though their hearts were unleashed. The symphony opens with lively music; we are there on the Rhine, that ever present symbol of Europe. The second movement has the rhythms of dances. The minuet and a German folk dance combine. Schumann had called it “Morning on the Rhine.” He and his wife, Clara, had taken a trip to the Rhineland together and remembered it as a tranquil, happy time. Schumann had seen the cathedral at Cologne and the installation of a Cardinal there. The solemnity of the fourth movement is his representation of the grandeur of the place and event. In the end, wisps of the early themes reappear; the timing slows as the great river swells and travels toward the sea. The the symphony has an internal effect on the listeners. The audience was buoyant, energized, smiling as though the movement of the music had infused them all with the spirit of the natural force of the river. Three cheers for MTT’s Schumann project with the San Francisco Symphony. This great, Romantic composer has not been given his due in recent decades. Music lovers should not miss this experience. The time has come to rediscover his music. Pictures, from top: Jean Sibelius; Leonidas Kavakos, courtesy of San Francisco Symphony; Robert Schumann, photograph from 1850; Michael Tilson Thomas, courtesy of San Francisco Symphony. This entry was posted in Hedgehog Highlights and tagged Jean Sibelius, Michael Tilson Thomas, Opus 47 by Sibelius, Robert Schumann, San Francisco Symphony, Symphony No. 3 in E flat major Opus 97 the Rhenish by Schumann, The Swan of Tuonela, Viloion concerto in D minor, Violin Concerto in D minor Opus 47 by Sibelius on November 18, 2015 by Leslie. The Israel Philharmonic, Zubin Metha conducting, performed at Davies Symphony Hall, November 8. The concert presented challenging music with excellent results: A Journey to the End of the Millenium, by Josef Bardanashvili; La Valse, by Maurice Ravel; Symphony No. 3 in E-flat major, Opus 55, Eroica, by Ludwig van Beethoven. This writer confesses to trying to like music by contemporary composers and mostly not succeeding. A Journey to the End of the Millenium is an exception. The composer calls it a symphonic poem; it was inspired by Bardanashivli’s opera of the same name , but is not a suite from the opera. The music has a dramatic path which captures the listener’s emotions and attention. The opera asked, “What are the mores of society at the opening of the 21st century?” The symphonic poem takes a journey with a woman. About to die, she looks back to her wedding day in a marriage in which she will be the second wife. Bardanashvili draws from deep sources: Moroccan music, ancient Jewish music, classically beautiful music, abrupt sounds. It has a three dimensional texture, like a rich wall hanging made in ikat colors of rubies and lapis; it is sometimes knotty and sometimes silky smooth. Most of all it was interesting, original, full of musical ideas which reached into the imagination and plucked at one’s nerves. 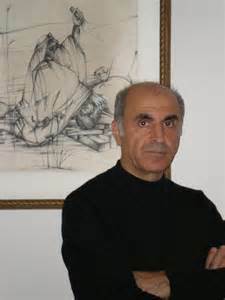 Josef Bardanashvili was born in Georgia and moved to Israel in 1995. He is the composer of operas, ballets, and symphonies, music for theater and film. Ravel’s La Valse changed its character from 1906 to 1919. Ravel intended to write a piece titled Wien (Vienna) in appreciation of Johann Strauss. When World War I began, the composer had not finished it, and his world was not the same. Diaghilev, the ballet impresario, commissioned the composer to complete La Valse. They had had success with Daphnis et Chloe for the Ballets Russes, but Diaghilev rejected La Valse, ending the partnership. The music is violent. One can visualize waltzing couples circling the dance floor, the brilliant chandeliers, the colors of the gowns becoming a blur as they spin faster. Ravel wrote a note for the music which suggests the scene at “An imperial court, about 1855.” Perhaps 1855 signifies a time of the old order, the time before civilization spun out of control and stopped looking like “civilization.” La Valse premiered in 1920. It sounds modern. It is recognizable as a waltz, but it is turbulent and frightening, a refusal of all the grace, ease, and pleasure that a waltz could incorporate. This may have been the best performance of La Valse that The Hedgehog has heard. And then, the Eroica. Beethoven conducted the first public performance in 1805. On his own, Beethoven over turned the music world’s old order. Symphony No. 3 announced that music could not be the same as before Beethoven. It is bigger than previous symphonies both in its length and the universe it encompasses. It is grander, more powerful and accomplishes more revolutions than those enforced by Napoleon Bonaparte to whom Beethoven had originally meant to dedicate the work. Napoleon declared himself Emperor. Beethoven, yearning for a leader who would make the rights of man the basis of government, was furious at the betrayal. Beethoven changed his mind back and forth on the dedication to Napoleon, but left the name off the final manuscript. This article is being written on Veterans Day. The second movement, Marcia funebre: Adagio assai/Funeral March, is not to celebrate one Great Man. It commemorates each individual whose life was diminished or finished by war. It was played at Mendelssohn’s funeral, another great life lost. Beethoven introduces the lively boldness of heroes, the painful waste of their loss. The rights of man belong to every one; the Eroica is for every individual. Through the individual, Beethoven knows he reaches all humanity. The Eroica ends with a “YES,” Finale: Allegro molto. Having fought his way through loss and pain, the human is still himself and that is the human victory. The Israel Philharmonic and Maestro Mehta presented the Eroica with the musical integrity and passion it requires. Zubin Mehta, much honored conductor and music director of orchestras around the world, has been with the Israel Philharmonic since 1969. Since 1981 he has had the title, Music Director for Life. The very good news is that he is as handsome and charismatic as ever. This entry was posted in Hedgehog Highlights and tagged A Journey to the End of the Millenium by Bardanashvili, Beethoven's Symphony No. 3, Davies Symphony Hall, Eroica, Israel Philharmonic, Josef Bardanashvili, La Valse by Ravel, Ludwig Van Beethoven, Maurice Ravel, Napoleon Bonaparte, San Francisco Symphony, Zubin Mehta on November 12, 2015 by Leslie. Shilpa Torvi presented her choreography in the IDF@SV Festival Concert, Aug. 16, 2015, and also in the Showcase performance for the IDF Choreo-cubator© artists. Now it is only a week until the world premiere of her major new work, La Bayadere. There are two performances, both at 4 p.m., at the Jackson Theater, Ohlone College, Fremont, CA. Ms Torvi found an exciting, creative approach to combining elements of Western classical ballet and Indian classical Bharatanatyam dance. 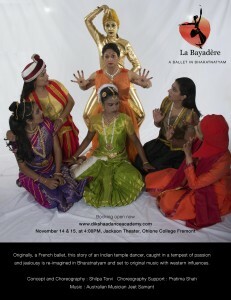 She bases her work on La Bayadere, a French ballet which is about an Indian temple dancer. In her choreographic experiments this summer, she also explored using the stage space in ways more associated with Western classical dance. Bharatanatyam can be very linear. Its positions derive from sculptures on the walls of ancient temples. Western classical dance makes more use of the depth of the stage space. Ms Torvi has experimented with space. It’s an exciting way to open up the visualization of a story that is jumping through space across continents and through time from ancient India to Nineteenth Century Europe to the present. The flyer pictured below has ticket information for what promises to be a wonderful dance experience. This entry was posted in INTERNATIONAL DANCE FESTIVAL-SILICON VALLEY and tagged Bharatanatyam, Choreo-cubator©, international dance festival@silicon valley, Jackson Theater, La Bayadere, Ohlone College, Shilpa Torvi on November 7, 2015 by Leslie. Chamber music at the Palace of the Legion of Honor is always a high point of San Francisco’s musical season. Remarkable musicians playing some of classical music’s finest selections in a theater that looks like the inside of magical music box: it’s great. Sunday, November 1, opened the season with Beethoven’s Trio in G major, Opus 1, no. 2; Chopin’s Scherzo No. 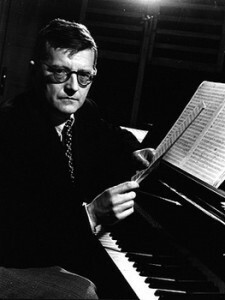 4 in E major, Opus 54; and Shostakovich’s Quintet in G minor, Opus 57. Each one was a gem. The character of each was entirely different from the others. I mention that for readers who may think narrow thoughts about chamber music. You have been misled; these are peak musical experiences. Alexander Barantschik, the Concert Master of the SF Symphony, violin; Anton Nel, piano; and Peter Wyrick, Associate Principal Cello of the SFS formed the trio for Beethoven. Michael Grebanier, SFS Principal Cello was scheduled to perform but replaced by Wyrick. The music was delightful. Beethoven plays with bright emotions, letting his lyricism and great heart carry the listener into an ideal natural world. The Scherzo movement offers syncopation and suggests a folk dance. The Finale: Presto sweeps aside any constraint, calling upon the pianist for virtuosic performance and yet keeping all three in an exciting ensemble. It was thrilling to watch and to hear these artists. Extraordinary pianist Anton Nel heads the Division of Keyboard Studies at the University of Texas at Austin. He has performed frequently with the San Francisco Symphony as well as the Cleveland, Chicago, London orchestras, and in partnership with Alexander Barantschik in the Chamber Music series. His performance of Chopin’s Scherzo No. 4 was a gift. Although a life long Chopin devotee, the Scherzo was not familiar to this Hedgehog. It was performed with exquisite style and taste. Nel gave Chopin the leading role and by doing so showed his own brilliance. It is a big piece, not at all a piece of another, grander work. The listeners were given much to embrace and absolutely stellar musicianship. In the Shostakovich Quintet, SF Symphony musicians Florin Parvulescu, SFS violin, and Jonathan Vinocour, SFS Principal Viola, joined Barantschik, Nel, and Wyrick. Concert goers who feel they know Beethoven and Chopin could have been quite surprised by the selections by those composers on this program. They were both fresh and profound. They may have been most impressed and surprised by the Shostakovich. His music is not played so often, was shut out of programming for decades, and when presented now opens the mind and heart with forceful, beautiful, sometimes soul wrenching music. While Shostakovich suffered greatly when out of favor with Stalin and his henchmen, this Quintet was written and premiered during a brief interlude of acceptance. It is glorious. Its premiere was 1940, but it sounds new and full of life. Its performance by this quintet of champion musicians provided music that could send the entire audience aloft. The persistence of the Russian dances in the last movements whirled us along while a thoughtful, musical spirit appears as if to whisper a reminder of a quiet secret. The audience called the quintet back for multiple bows. Each of the performers deserved whole hearted cheers. 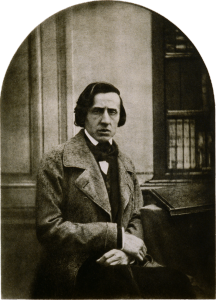 Pictures from top: Beethoven, photo of Chopin by Bisson, 1849; Shostakovich. This entry was posted in Hedgehog Highlights and tagged Alexander Barantschik, and Piano, Anton Nel, Beethoven, Beethoven: Trio in G major for Violin, Cello, Cello and Piano, Chamber Music, Chopin, Chopin: Scherzo No. 4 in E major for Piano, Florin Parvalescu, Jonathan Vinocur, no. 2, Opus 1, Opus 54, Opus 57, Palace of the Legion of Honor Museum, Peter Wyrick, San Francisco Symphony, Shostakovich, Shostakovich: Quintet in G minor for Two Violins, Viola on November 7, 2015 by Leslie.